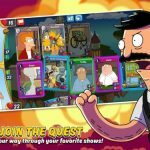 Animation Throwdown: The Quest for Cards is the latest card battler from Kongregate, and as we explained last time, it’s the ultimate “crossover” game featuring tons of characters from various cartoons, including Family Guy, Futurama, American Dad, King of the Hill, and Bob’s Burgers. 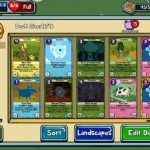 As this is a collectible card game/trading card game, one of the things you’ll need to do here is to build a formidable deck of cards to ensure more victories against AI and human opponents alike, but apart from having a strong deck of cards, you also need to have a good mastery of combos. In the context of this game, “stringing together” or “chaining” a combo would actually mean playing one card over a base card, thus making the base card more powerful and impressive. As pulling off a successful combo at the right time could be the game-changer you need to turn a losing battle into a winning one, this topic deserves a completely separate guide of its own. 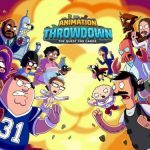 So with that said, let’s take you to our second set of Animation Throwdown tips, tricks and strategies. We’ve given you a ton of general tips last time, and now we shall be zeroing in on one of the aspects we discussed in the first guide – combos. This is not as much a tip as it is a backgrounder of sorts, and a good way to get this guide going. 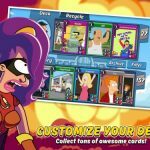 Kongregate has just released the game, and at the moment, there are 192 different cards. If you consider all the possible combinations, that’s virtually a countless number of combo choices. Then again, maybe “countless” was not the right word as each of the 192 cards has up to 30 possible combos. That’s well over 500 possible combos, if you need us to do the math for you, and that is indeed a lot. Research is at the backbone of every combo you will end up unlocking and, once you use it in battle, stringing together. Make sure that you’re keeping busy and having both research capsules doing something at the same time. And while we often tell you that you can simply login once a day, even for a few minutes if you’re busy, to follow up on things, you will have to make far more regular follow-ups here, so you can collect any combo that’s just been researched, and queue up a new one. Of course, we can’t blame you if you’re often pressed for time, but if you’re able to make regular logins several times a day, all the better. As a bonus tip, it is possible to research for one card before going on to the next, instead of using all the combos you currently have unlocked. Do this as soon as possible so that you can have more combo options available when it’s your turn to play some cards. When talking about the duration of research, the rarer cards will take you two hours per combo to research, and as cards get rarer, the countdown timer goes up, taking it longer for you to complete the research. But that shouldn’t dissuade you, as rare cards can benefit you more in battle, and are oftentimes the cards that end up being the winners for your deck. Keeping that in mind, it’s a good idea to start your research with the rares, checking out random combination options and seeing what works. Riffing on the last sentence in the above tip, it is possible to research combos with one rare card and one common card, and you shouldn’t hesitate to do this anytime you’re queuing a new potential combination. That’s still going to allow you to put together pretty good combos in card battles. What you shouldn’t do, however, is to research combos featuring cards that currently aren’t in your deck, but rather in your inventory. It’s not common to see impressive combos that stand out so much you’d be convinced to swap the inventory card into your deck. So we suggest avoiding this strategy, unless you’ve got more than one combo with an inventory card that isn’t in your deck. Those who haven’t played Animation Throwdown yet may not be aware that this game doesn’t have any time limits. That means you can take all the time you need to decide on which combo to string together. And on top of that, you don’t really need to memorize combos and effects, as you can simply tap on the card you’re about to play and check out an overview of all the available combos at that time. 6. Is There Really A True Standout Combo Out There? Truth be told, Animation Throwdown doesn’t really have a “best combo” out there. One combo may work well in a given situation, but might not work in another, and everything is smoothly balanced out, with no one combo substantially better or worse than another. In other words, there’s no such thing as a throwaway combo in the game, and all are useful. But on the other hand, there are SOME combos that tend to be slightly better than the most. This is a carryover from the general strategy guide, but for the benefit of those who have yet to check that out, your best bet is to start with combos that give you a high amount of health, and preferably those that deal out a lot of damage as well. We would say cards with block, counter, or regeneration, as these are the ones that could give you more of an edge in card battles. Your second card should preferably be a one that deals out high damage. After that, it’s all up to you, as once again, everything is balanced out quite evenly in terms of general combo efficacy.